I have a Gentoo machine with KDE 5 Plasma. It has been running for a few weeks, now, and I did not have problems until I restarted my computer today. Controls started blurring making texts unreadable (see picture: https://i.imgur.com/Lg15o5d.png ). When hovering with my mouse, the text unblurs for a second, then blurs again (smoothly animated). Also holding a window and moving it around keeps the window and all controls inside unblurred. This effect only appears when I set the compositor to OpenGL. Changing to XRender is a workaround, but I'd like to fix the OpenGL settings. 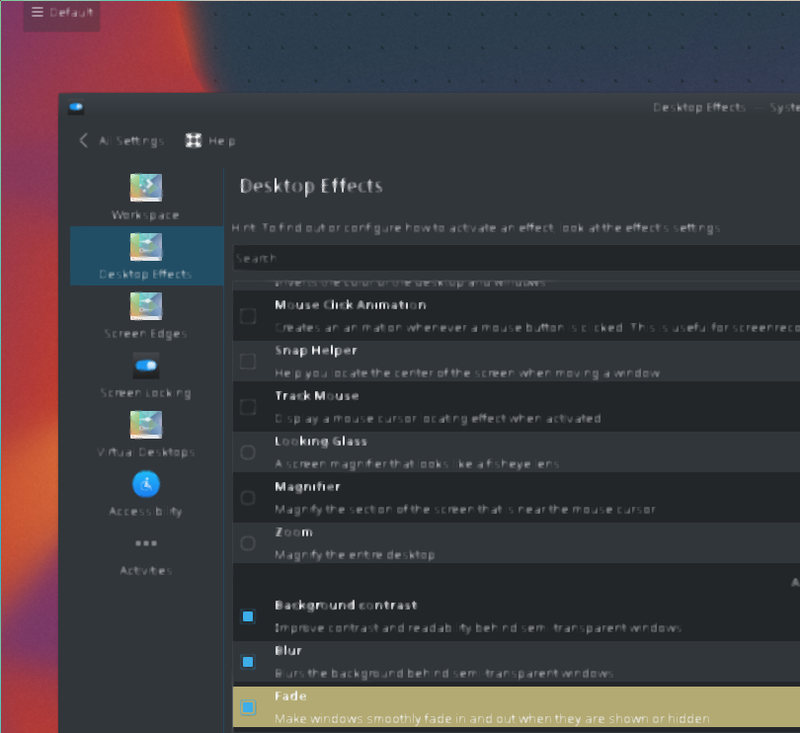 How can I fix my KDE installation? If you need more versions, settings, logs or USE flags, please just tell me what you need and I will happily provide it. Run "nvidia-settings" and disable FXAA. FXAA is a shader based full screen anitaliaser which causes exactly this. You may also be able to disable it for kwin_x11 in nvidia-settings with an application profile. luebking wrote: Run "nvidia-settings" and disable FXAA. Simple and effective! Seems like I enabled it at some point and it just took effect after the reboot. Thanks a lot!